DREAMY HEALTH: FACE READING - CHINESE METHOD!!! Face reading: what does your face say about you? Like other forms of divination, Chinese face reading has been around for thousands of years. The earliest records of its use date from the time of the Yellow Emperor (2697 to 2598 BCE), although it has been practised long before that. 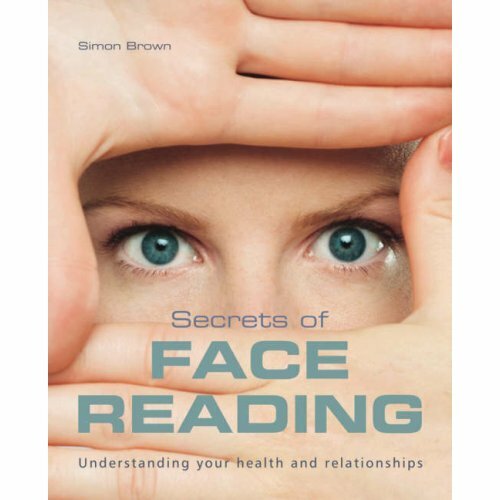 To help you figure out what your face is the world, here are some pointers from Foon about face reading. If you're trying to read your own face,sit in a well-lit room and look into a mirror. It's important that you see your face clearly. Foon suggests doing face reading with a friend, so you can read each other's faces and learn more about each another. Divide your face into three zones: the upper zone from the top of your forehead to the top of the eyebrow; the middle zone from the eyebrow to the tip of your nose; and the lower zone from the nose to the chin. The upper zone represents your youth and refers to the senior generation (your parents, for example). The middle zone represents your middle age and your own personal life; while the lower zone represents your later years and the younger generation (your children). If the upper zone, the forehead, is the widest area, that usually indicates someone who's had a very happy childhood. A very big lower zone or chin area indicates life will be much better when you're older. Most people, though, would tend to have the middle zone as the largest area. Imagine drawing a vertical line down the middle of your face. The left side of your face is considered yang and the right side yin. If your a woman, the left side of the face relates to men and the right to yourself. For men, it's the other way around. The eyes indicate the spirit of the face. They show the state of your mind. Are your eyes clear and bright or are they dim and tired? Chinese doctors practising traditional Chinese medicine use the eyes to diagnose some illnesses because they reflect your energy or qi levels. Check how far apart your eyes are. If you can imagine putting one eye's width between your two eyes, then the space between your eyes is normal. People with eyes that are farther apart tend to be very laidback and relaxed. People whose eyes are close together tend to be very focused. The bridge of the nose represents health while the tip represents wealth. In face reading, big noses are a sign of health and vitality. The lips often reflect relationships. People with thin, narrow lips tend to be argumentative while people with well-shaped, round lips are generally much more charming in their conversation. The lips can show if somebody will speak sweetly or sharply. A firm chin that slightly turns up will help a person hang on to his wealth. This is because the chin helps “catch” the wealth from the tip of the nose. There are five basic face shapes that correspond to the five elements in Chinese metaphysics. The round face is considered a water-shape face. It's important not only that the face is round but that it is plump and fleshy. Those who have water-shape faces tend to be flexible and adaptable. They have a strong drive for power and money but are also generally seen as sympathetic. People with long, thin faces are said to have a wood-shape face. They tend to be a little lonely, preferring their own company to others'. They are ambitious and want to succeed. People with pointed chins are considered to have fire-shape face. As fire implies, these people can be quite hot-tempered and fiery; but equally, they can be extraordinarily strong and have a lot of physical courage. An earth-shape face is thick and heavy, a very full face that's slightly wide. People with earth-shape faces have a steady and calm nature but they can be quite aggressive and secretive. A metal-shape face is more square than anything else. Metal faces suggest strength, firmness and fighting spirit. People with metal faces tend to be well-balanced. A face that is smooth, clear and bright is considered auspicious. Indentations, scars and moles are considered inauspicious. Scars are considered unfortunate because it indicates bad luck relative to the area of life at a certain age. If you have scars, you can try to make them blend in more to help change your luck. Moles can mean different things for men and women. A red, rosy mole has a different effect on your luck than a dark mole. Hairs on the mole can also counteract its effects. A mole on the tip of your nose is considered bad luck for money. If you have that feature, don't gamble! Having plastic surgery can change your luck, depending on what you have done and when you have the operation. When you improve your looks and become better looking, it can change the way other people respond to you. But be careful. Think of Michael Jackson. When he was with the Jackson Five, he had a big nose and he didn't like it. Look at him today. You can barely see the the nose on his face and isn't he nearly bankrupt? Remember that these tips are broad guidelines. For an accurate face reading, contact a professional practitioner.